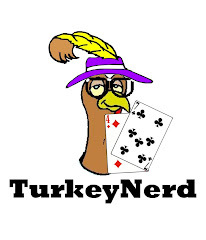 Turkey NERD!!! : No Rakeback = No More Full Tilt? Rakeback is a refund of the "rake" that you pay to play any cash game or tournament. Depending on the host site and the rakeback site, you can earn anywhere from 25%-35% in refunds if you use any of these providers. The rakeback provider tracks your play at whatever game/stake, then will refund the set % of the raked amount back into your account on a monthly basis. Cash players pay more rake than tournament players because pretty much every hand that sees a flop is "raked" a set percentage. As such, cash players are entitled to more rakeback. Cash players have an added bonus here because they not only get the refund on pots they play/win, but they also receive the same rate on raked hands that they do not play. Essentially, if you are dealt cards, you are eligible to receive rakeback for that pot. According to Guido, who is a very wise man, if you generate a large volume of hands seen and are a break-even player, you can build your bankroll via rakeback alone. (Of course, being a winning player is also helpful). For more info, I trust this site. I did a brief calculation based on my tournament and cash play since I rebought back in August 2008. I estimate that I cost myself (and my roll) about $75 in rakeback rewards (even playing at 5/10 cent and $1-$5 tournaments), and it pisses me off that I wasn't aware enough to take advantage of this sooner. Good post. I don't really follow what is going on at FT since I don't play there, but I know that people used to be able to switch to a rakeback account, no problem. Maybe things have changed and it's harder now... don't know. Don't be silly and play on Full Tilt without rakeback. This is just unfair and disgusting. They didnn't give me rakeback = I withdrew all my money and will never play on Full Tilt again.